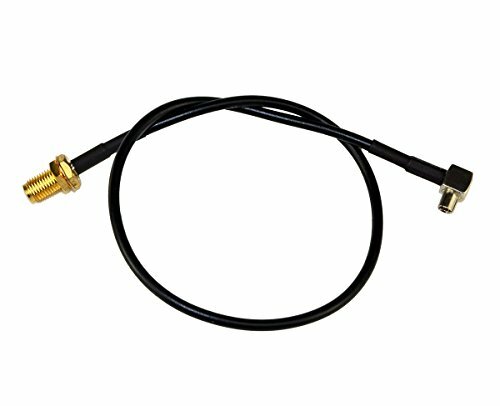 Connects from the external antenna jack on cellular USB modems which have TS9 external antenna ports to an SMA Female bulkhead jack to provide an attachment point for external SMA Male antennas or other devices. Pressing the connector into the modem too firmly can damage the modem. The connector is *NOT* designed to fit all the way into the modem's external antenna port. See the sample images for examples of correct installation. Connect from external antenna port on USB modems/MiFi hotspots to SMA connectors on antennas, etc.